December | 2011 | Get Glenn Mobile! It’s New Year’s Eve, right on the cusp of 2012, and I wish everyone a very happy New Year! It’s certainly been a hectic year, inaugurating this blog along with my foray into online journalism…my thanks again to the American Daily Herald for this opportunity. As I’ve written previously, 2012 promises to be a most interesting time. Let’s hope the positives overcome any negatives as our country goes through all of the changes that are poised to happen. I’m beyond pleased with the great start this Get Glenn Mobile! project has gotten, the moral and financial support you folks have responded with is nothing short of amazing to me given the short time the blog’s existed, and I have full confidence that as I learn what it takes to distinguish it from any number of others out there, we’ll see its visibility increase drastically. Thanks to everyone again for your caring, your generosity and your encouragement! By the responses and generosity displayed by you lovely folks for my Christmas appeal. You have, as usual, outdone yourselves and confirmed my faith and trust in peoples’ good nature. As you see in the sticky intro post, we’re at over 5% of the goal and climbing…an affirmation that this is the right path to follow to escape the dismal hole I’ve tumbled into as a result of this blasted affliction. I sincerely thank all of you, y’all are the best! I’ve been slacking off during the holiday week…time to get back to the business of making this blog better known and more accessible to newcomers. I need to press forward with my plan to get dedication videos from some of my better known allies in this venture, again with helping assure those unfamiliar with me that my cause is entirely legitimate and urgent. You who know me are of course aware this is true, but those who don’t certainly deserve that assurance…asking them to spend even a dollar of their money on a cause they don’t have full confidence in is not reasonable. Patience and consistent effort on my part will make all of this happen, of that I have no doubt whatsoever! I used to really enjoy writing Christmas cards in my healthier days, along with a few Hanukkah and general holiday cards for my Jewish or non-religious friends and family. It was a familiar and comfortable ritual to mark the season and I always took care to pick a fun time and place to get my cards out..including while I was at work; many of you have gotten cards in the past that were written in the middle of the night from the cockpit of my Mitsubishi at 13,000 feet while cruising between Nashville and Atlanta, humming along at 300mph. After the multiple sclerosis got its hooks into me, I got awfully busy trying to cope with its onset, facing the end of my working days and the ordeal of qualifying as a disabled person. Later, after surviving that scary interlude in my life, I lost the ability to do any hand writing when my dominant left hand failed so it looked like my holiday ritual was gone for good. This is my first Christmas since beginning this blog, and while it’s a far cry from being able to sit down and write cards, with its stories, photos, and videos it’s a versatile tool that in some ways is even better than any card. The surroundings are amenable, I’ve got a nice fire going and a favorite old movie, “A Christmas Story,” playing in the background. It’s been a busy year, to be sure. I’ve been busy with my writing, both here and in my new found avocation as a columnist for the American Daily Herald…a pleasant surprise to me, who never pictured himself as anyone’s idea of a journalist. Writing essays on a semi-regular basis takes it out of me, but I’m planning to try my hand at submitting pieces to other online journals as a challenge to myself to find out if I have what it takes. I had a lot of fun during the warm weather with my adventures in aeromodelling, and the coming spring will see new chapters unfold with my existing and winter projects. Not too shabby for a fellow conducting operations from a power wheelchair, and I’m looking forward to how far I can take it. Therein lies the rub, though, which brings me as always back to business…the ongoing mission to get me mobile, the primary aim of this blog. The wonderful people who have responded so generously with their donations have gotten this project off to an impressive start in its short lifetime, but there’s still a long way to go. I need to recalculate the numbers, but I’m estimating we’re at about 5% of the funds needed to get my Honda modified for wheelchair access. That’s beyond encouraging, and this is no time to coast. To those of you who are visiting for the first time…by all means, pull up a chair and enjoy your stay, but won’t you consider making a donation at some point while you’re here? Even a small amount will help me to remove the risk of a potentially fatal fall when I have to go out in my Honda, but more, to regain my liberty from this housebound prison. To restore so much of my life that this rotten disorder has taken from me, to let me do so many of the things that healthy people have the luxury of being able to do without thinking. To you great folks who have already shown their caring by giving, welcome back and thank you so much! You’ve helped me keep my enthusiasm up and have been a huge comfort to me. To everyone: this project is starting to gather some good momentum, and what it needs is views, lots of them. I know that in the grand scheme of things I’m no great shakes…as the late great Harry Browne wrote to his daughter on a long-ago Christmas, I know that no one owes me anything. I’m no beggar, just a guy who found himself in a bind asking for help from the world, expecting nothing but hoping to accomplish an ambitious goal in the face of a daunting adversary. Please…if you like this blog and think my goal’s a worthy one, will you tell a couple of friends about it? It WILL help! Hope’s a powerful force, and that along with my faith in good people keeps me going. I wish every one of you a the merriest of Christmases, the happiest of Hanukkahs and the most blessed Yuletide anyone could want. You folks are magnificent! I always enjoy the Christmas season, even though I’m an unreconstructed agnostic. The lights, sounds, foods and spiritual ceremonies all have their own unique appeal, taken in good measure. Sure, many in this country go way overboard sometimes, but that’s just human nature…I define how much of the hoopla I enjoy to suit myself, and neither expect others to share all of my tastes nor share all of theirs. There are plenty of folks who get carried away by the over-commercialization of the holiday, while others’ religious practices frown on celebrating the holiday at all. I’m happy seeking my own balance. I appreciate the positive Christian themes of renewal, hope, good fellowship and charity as much as I do the older pagan representations celebrating Yule and the winter solstice in various iterations depending on their origins in old Germanic, Norse or Gothic cultures. 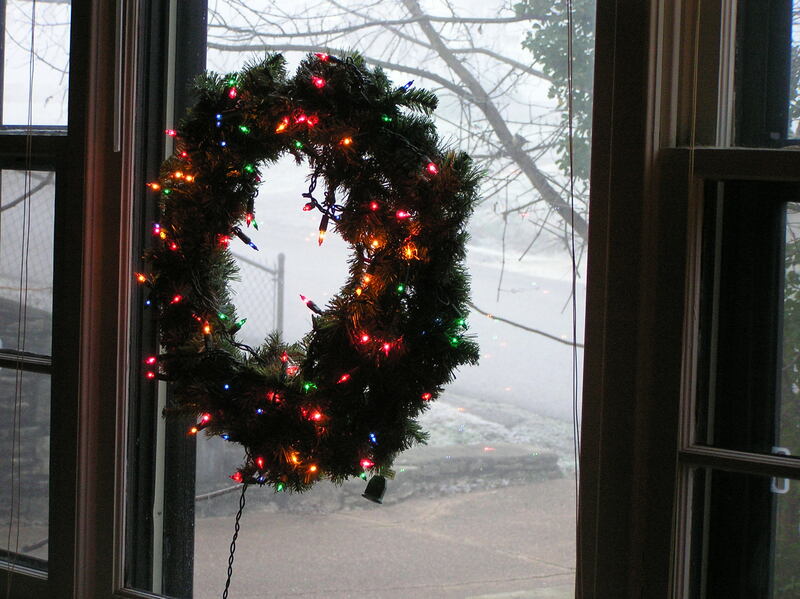 Of the lesser known Christmas traditions, my favorite comes down to us from this last, most commonly associated with Austria. 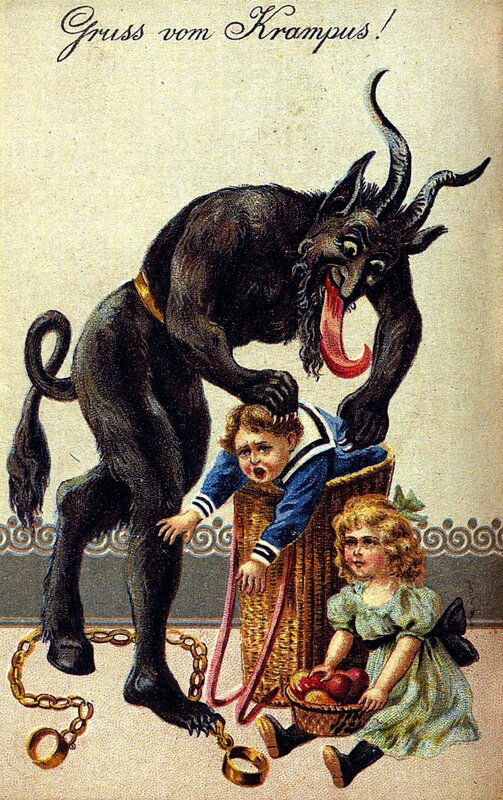 I’m speaking, of course, of the Krampus. The portrayal of our Americanized Santa Claus, traditionally bringing gifts to good boys and girls and lumps of coal to the bad ones always seemed to me to be just a wee bit one-sided and oversimplified. I mean, really? Some kid’s rotten all year long and his or her only punishment from Saint Nicholas is a lump of coal? I never quite thought that was fair, frankly. I’ve personally known plenty of little fiends over time that were mean to animals, bullied their peers, and were guilty of all manner of unpleasant things that clearly warranted worse treatment than just getting a lump of coal in their Christmas stockings. When I eventually got online some years ago, though, it wasn’t long before I discovered the Krampus, and that finally put life back in balance for me. If you recall your folklore, the original Saint Nicholas was a bishop and thus about as far from wicked as you could ask for. He was known for giving presents to the kids, especially poor ones, who had been good while driving the devil away by admonishing children to behave decently. Human nature being what it is, his good advice and example weren’t always taken to heart. You and I both know that truly nasty kids would only sneer at a kindly old man with what would seem to them a goody-goody message, so legend provides us with a sidekick who’d be up to the task…enter the Krampus. This frightening creature accompanies Saint Nick on his rounds, ready to scourge bad kiddies with birch switches or even carry off really naughty ones in a sack to be eaten later or cast into the Pit. With his horns, long red tongue and cloven hoofs he makes a hideous sight, guaranteed to scare the worst kids straight. Ya gotta like this guy…not only does he serve a useful purpose, but he was suppressed in fascist Austria in the 30s, so he can’t be all bad. Besides, he seems to have an eye for attractive young ladies…in modern Krampusnacht festivals they are often singled out for a friendly swat from his switch. So you’ve been warned, kids, I suggest you be on your best behavior if you encounter this fellow. Be good, mind your manners…and for goodness’ sake don’t forget to donate to worthy causes at this special time of the year! If you’re a reader of subject matter other than technical manuals and cereal boxes, the odds are good you’ve come across the phrase “may you live in interesting times” at some point. It’s purported to be a Chinese curse, and if you think about it, it could very well be a malediction. Some of the more horrific events in human history have certainly occurred during times of rapid change. I got curious while contemplating this phrase, and good ol’ Wikipedia came through yet again. As usual with semi-common knowledge things, this ‘Chinese curse’ appears not to be of Chinese origin…but it still makes for some interesting reading. Considering I’ve been writing essays for the American Daily Herald for the last couple of months whose main focus are politics opinion pieces, those could be downright scary. Since I believe in never doing anything halfway, one of the first things I mean to do once this blog’s initial task succeeds and I get my mobility back is to expand the scope of the journalism I seem to have discovered an affinity for to the world outside. Of course the Krip Kam series has to accompany that, which could be more than a little perilous, given the events fast unfolding in our world. There’s a flip side to the potential hazards…we might be on the cusp of seeing some really positive changes rather than just a new iteration of the status quo that big changes have always seemed to devolve to. The internet provides a whole new paradigm, and as such is yet untested for how it’ll help us cope with those big changes. The coming years might turn out to be a grand adventure, one I wouldn’t think of staying home to miss. No matter what, it’s almost certain that the times ahead are going to be interesting, to say the least. I’m spending the afternoon doing some computer housekeeping, not the funnest chore but it needs to get done. Since I’m a junkie for input I’ve invariably got a favorite movie or song playing as a comfortable background sound. Today I’m on a YouTube jag, which can be fun in a free-association way. You never know where this sort of activity will take you…I might start with folk or classical and end up with 70s psychedelic rock! Today, though, since I’m busy I’ve just been putting on one playlist after another to keep my efforts centered on the tasks at hand. Right now I’m listening to Tom Lehrer’s The Elements, the lyrics are the actual periodic table of the elements set to Gilbert and Sullivan’s Modern Major General melody! Check out my playlist if you like, I can’t recommend Tom Lehrer’s witty songs enough, and of course you’re free to make this your own! To better prepare for the imminent holidays, as well as formally celebrating my Honda being entirely paid off (freeing up a bit of disposable income for the first time in years, I should add), I did something I’ve been wanting to do for a good long while: I placed an order with Asian Food Grocer! They carry all sorts of great stuff, from seasonings to kitchenware, but the primary attention grabber for me is their huge selection of Asian munchables. I learned about the great cookie stick snack Pocky a long time ago, but when you can find it in American markets it’s invariably the most generic…though still good…boring stuff like plain chocolate or strawberry. Among other goodies too numerous to catalog, I have some Panda (cookies and cream) and Almond Crush Pocky, stuff you will never, ever see in any local Tennessee market. The natural fruit gummies, baked potato snacks and caramels are all brand new to me as well. 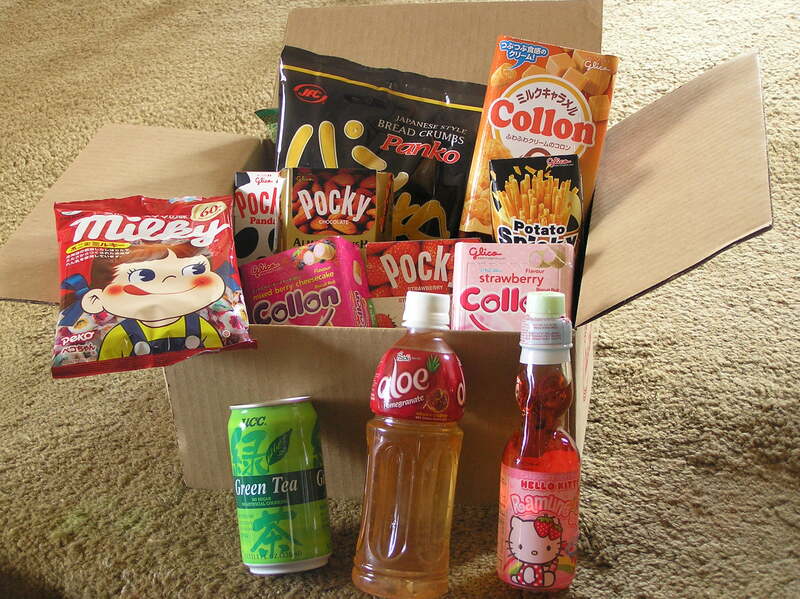 Names like Pocky, Collon, Spicky, Panko and Ramune tend to sound a bit odd to American ears unfamiliar with them, but take it from me, they’re delicious. Normally I wouldn’t order drinks or sodas because of the weight, but shipping stays at a flat $6.95 once your order exceeds $25, and it’s free for orders of $100 or more, so experimenting around a bit won’t break the bank. Color me content with my hoard! Asian Food Grocer is so far impressing beyond my expectations. Recommended.